Applications Are Now Open for CHCI’s R2L NextGen Program! Deadline: Monday, March 14, 2016 at 11:59 pm EST. R2L NextGen is a week-long leadership and civic engagement program for high school students currently in 9th, 10th, and 11th grades. CHCI will bring 40-50 Latino high school students to D.C. to learn about how the Federal Government works, meet key leaders, visit historic sites and develop a deeper understanding of how they can affect positive change in their communities and their nation– ALL EXPENSES PAID!. The program, which will take place July 10-July 15, 2016, is completely FREE of charge to all selected student participants. Reside in one of the following geographic regions identified for eligibility, including: Atlanta • Central Valley of California • Dallas/Fort Worth • Phoenix • Puerto Rico• South Florida • Southern California • and the Washington, D.C. area. Detailed eligibility requirements can be found here. Applications are now available online and must be submitted by Monday, March 14, 2016 at 11:59 pm EST. Click here to start your application now! 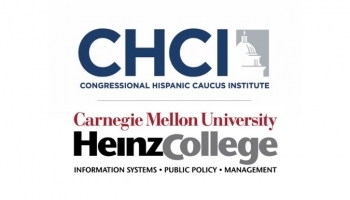 To learn more, visit www.chci.org.